After releasing my latest pattern the BG (Big Girl) Bag i have had a bit of reflection time. I’ve been using the time to set some goals, make some plans and sew up a bunch of new patterns. I have spent way to much money on patterns actually, but i’ll save that for a different post. My lovely BG bag testers had a lot of very cool ideas for added extras to the BG Bag pattern. They encouraged me to make an added extras PDF pattern and instructions. I did! And I attached it to the purchase file on Etsy and Craftsy. It contains the pattern and instructions for a pleated pocket and D-ring strap for the bags. It is an added extra that can really be used on most bags and it’s just handy! So i’ve decided i will offer it here for my readers! If you click on the image below you can get it too! I have some more fantastic tutorials coming for my bag that can be used on almost any bag so subscribe to my newsletter and stay up to date! 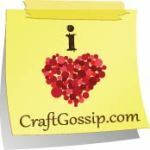 Be sure to check out my new Craftsy store i love their classes too!